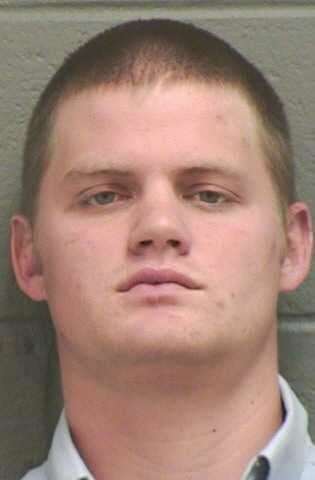 Athens, GA (GradyNewSource.com) – Accused hit-and-run driver Wilson Heaton was given $50,000 bond and placed under house arrest during his first court appearance Thursday. Heaton, 22, is accused of driving drunk the night he struck Emily Bowman, 19, along Oak Street in Athens. Chained at the wrists and ankles, Heaton said very little during his hearing Thursday morning. His defense attorney was absent for the hearing in which Judge Benjamin Makin listed the six charges, including two felonies: hit and run and causing serious injuries with a motor vehicle. Prosectors recounted Heaton’s dozen or so previous run-ins with the law dating back to when he got his driver’s license in 2007. Heaton, who has previously be arrested for alcohol possession by a minor, speeding and open container, will now need to surrender his license to his probation officer. The condition’s of his bond, which was set at $50,000, requires him also be arraign house arrest somewhere in Athens or Oconee counties. Heaton will return to court to enter a plea at a later date. Emily Bowman remains at Athens Regional Medical Center, where her family hopes to soon move her to Atlanta for rehabilitation. Ariel Arias Bond Hearing Set For 1 p.m.